Medidas: 50.8 ancho x 40.64 alto cm. 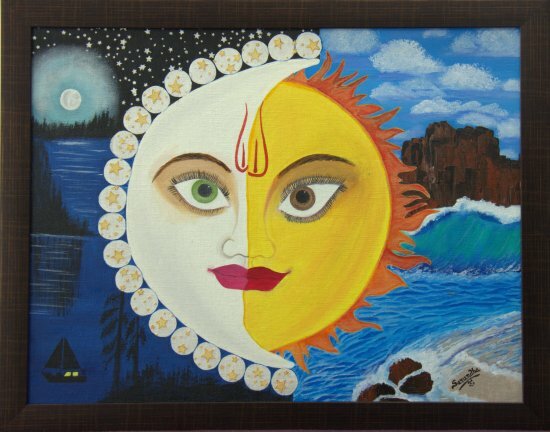 Oil and acrylic painting on canvas with minimal texture to add a third dimension to the painting.The beauty of nature in its various forms is seen in the daily transformation of day into night and vice versa which is presented by the lively existence of the moon and the sun. The main guiding forces of nature are presented in this painting with its effects on various elements of nature in one frame. Medidas: 50.8 x 40.64 cm.